The Association of Art Museum Directors (AAMD) announced that it was placing formal sanctions on the Berkshire Museum and the La Salle University Art Museum. The decision was prompted by the two museums’ choice to use proceeds from the sale of artwork for operating budgets or expansions. AAMD policy requires that proceeds from sales only be used to acquire other artworks. AAMD policy is to ask its 243 member museums to suspend any loans of works of art or collaborations on exhibitions with sanctioned museums until they are notified that the sanctions have been suspended or removed. Sanctions do not effect loan exhibitions that have already been scheduled. The AAMD has stated that although the sale was legal, the museum’s decision nonetheless violated accepted museum policies and best practices. The AAMD holds that it is a fundamental professional principle that works can only be deaccessioned to provide funds to acquire works of art and enhance a museum’s collection. Otherwise, the public perceives that museums treat cultural assets as disposable –tarnishing all museums that hold art in trust for the public and discouraging the public support necessary to sustain museums. 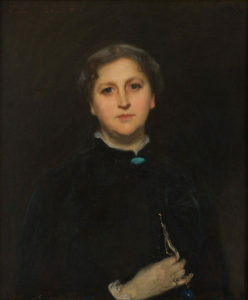 John Singer Sargent, Portrait of Mrs. Raphael Pumpelly (wife of the intrepid explorer and discoverer of the Central Asian Bronze Age), Berkshire Museum. Wikimedia Commons. Retained in the Berkshire Museum Collection. 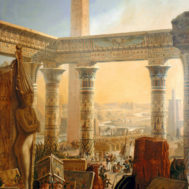 The Massachusetts Attorney General, which represents the public interest in lawsuits involving state nonprofits, negotiated an agreement with the Berkshire Museum in which the museum could keep the first $50 million of proceeds from sales, but once that level is reached, it must either keep the remaining artworks or use the proceeds to build its collection. The Berkshire Museum has plans to develop as a science and nature museum (these collections are also part of its core). The Berkshire Museum reached an agreement with the State of Massachusetts that allowed it to sell 13 artworks through auction at Sotheby’s in May 2018, including a charcoal drawing by Henry Moore for $300,000 and a 1914 painting by Francis Picabia that sold for $1.1 million. 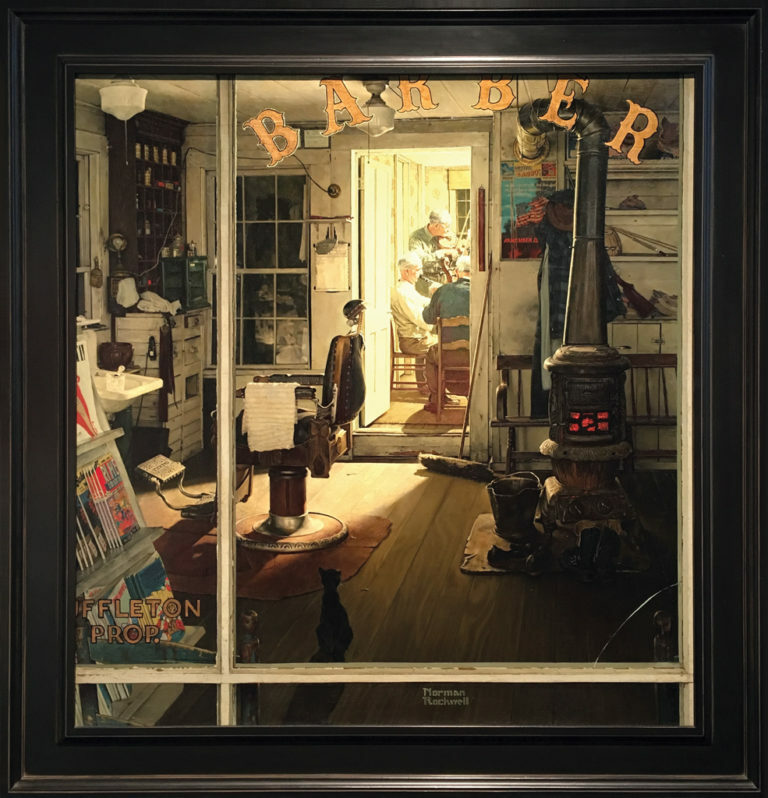 One far more valuable work, Norman Rockwell’s Shuffleton’s Barbershop, was sold directly to the Lucas Museum of Narrative Art in Los Angeles, and will be loaned for two years to the Norman Rockwell Museum, located near to the Berkshire Museum in Stockbridge Massachusetts. A grassroots organization called Save the Art–Save the Museum, centered at Pittsfield, Massachusetts, the Museum’s home, was another interest group that attempted to halt the sales. An additional suit was brought by descendants of Norman Rockwell. 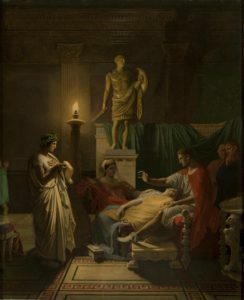 Jean‐Auguste‐Dominique Ingres, Virgil Reading the Aeneid Before Augustus, oil, 1865, La Salle University Museum. Last fall, La Salle’s administration and board of trustees approved the de-accessioning of 46 works of art from the museum collection, many of which were pulled off the museum’s walls and shipped to Christie’s New York April 18th European Art Auction. Fifteen works sold at or below the low estimate in the first auction, generating $2.4 million; seven others failed to sell. The most valuable work sold so far was Jean‐Auguste‐Dominique Ingres’ 1865 oil, Virgil Reading the Aeneid Before Augustus, which sold for $672,000 against an estimate of $600,000-$1,000,000. La Salle students organized a Friends of the La Salle Museum group, to protest the sale, but a representative, Paul Fitzpatrick told the Philadelphia Inquirer that their concerns were ignored by the administration and board of trustees. 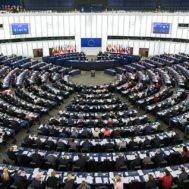 Philosophy professor Cornelia Tsakiridou told the Inquirer that the failure to consult with faculty in this matter has brought other issues to the fore and resulted in greater activism among professors and staff. 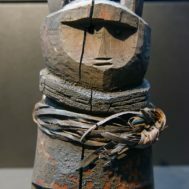 The La Salle Museum is not a member of the AAMD, and is only an unaccredited member of the American Alliance of Museums, whose best practices also forbid sale of collections to pay for maintenance, expansion, or activities unrelated to the museum mission. It is extremely rare for the AAMD to impose sanctions on a museum. The AAMD attempts to work with member museums to find alternative means to sustain institutions without selling artwork. Sanctions are rare, and tend to take place in more extreme circumstances. For example, in June 2014, the AAMD formally sanctioned the Delaware Art Museum for having deaccessioned and sold a work of art from its collection to pay outstanding debt and build its operating endowment. The AAMD Statement regarding the Delaware Art Museum also requested all AAMD member museums suspend projected loans. Isabella and the Pot of Basil by William Holman Hunt (1868). Wikimedia Commons. 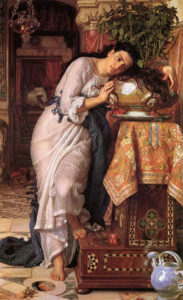 The first painting sold by the Delaware Art Museum on June 18, 2014 at Christie’s was one of the major works in its Pre-Raphaelite collection, William Holman Hunt’s 1868 Isabella and the Pot of Basil. The $4.25 million sale price was far short of the painting’s $8.4 million to $13.4 million estimate. The museum received $4.9 million through an arrangement with Christie’s in which the museum split the buyer’s premium with the auction house. In August 2014, the Delaware Art Museum announced that it would also be selling Winslow Homer’s 1875 Milking Time and Alexander Calder’s 1959 Black Crescent mobile, which had earlier been removed from the Wilmington museum’s galleries and database. The museum argued that it needed to repay $19.8 million owed for a 2005 facilities expansion and replenish its endowment, and that the alternative was to shut down the museum altogether. A fourth artwork was added to the projected sales, given the low price achieved for the Hunt painting. In March 2014, the AAMD sanctioned the Maier Museum at Randolph College for selling George Bellows’ painting Men of the Docks and using the proceeds to support the College’s operating budget. The Maier Museum had been censured in 2008 — censure is a milder form of reproof — for selling Rufino Tamayo’s painting Trovador. The AAMD Statement regarding Randolph College noted that the AAMD makes every effort to assist museum members to find solutions other than selling art from their collections in times of financial crisis. The AAMD did not agree that sale of valuable works from the collections was the only avenue available to either of the two museums.